A cataract is a clouding of the normally clear lens that is inside your eye. The most common type of cataract is related to the natural aging process of the eye. Typical signs/symptoms of a cataract are cloudy vision, poor night vision, and the fading or yellowing of colors. 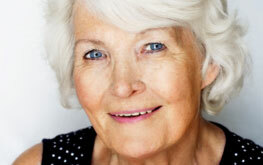 Most age related cataracts progress gradually over a period of years. When the cataract has progressed far enough, to attempt to have it surgically removed is the best way to regain your lost vision. Cataract surgery is an outpatient procedure performed under a local or topical anesthesia. The cloudy lens is removed, and in most cases replaced by a permanent artificial clear lens called an IntraOcular Lens (IOL). When having cataract surgery you will have several different options of IntraOcular lenses (IOL’s) to choose from that best fit your needs, and lifestyle. The traditional single focus IOL can be set to fix your vision for one distance. You may choose whether to correct your distance vision or your close up vision. You may also choose to set one eye for your distance, and the other eye for near. This is called monovision. Insurance will usually pay for this type of lens. The multifocal IOL can provide distance vision and near vision correction at the same time. In many cases, patients will then be independent of glasses for distance and near vision. The toric IOL provides vision correction for people who have a moderate amount of astigmatism. Astigmatism is mild curving of the cornea which can cause visual distortion when uncorrected. For individuals over 40 who are considering refractive surgery to decrease dependence on glasses and contact lenses, clear lens extraction (CLE) is an option. This procedure entails removing the natural lens of the eye and replacing it with an intraocular lens (IOL) implant. This procedure is essentially the same as cataract surgery with lens implant, however in this case the procedure is completed prior to cataract development for the refractive advantage. CLE may be an excellent alternative for people already wearing bifocals or for those who do not qualify for other refractive procedures such as LASIK or PRK. CLE avoids any treatment of the cornea, and instead changes the refractive power of the eye in a potentially more natural position. CLE is best suited for patients over 45 years of age who are already wearing bifocals. A multifocal IOL implant is also an option, allowing the patient to focus both near and far.